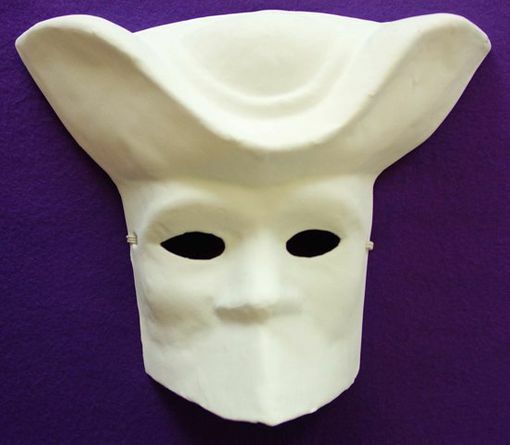 Create your own mask with this unpainted bauta venetian mask with hat. Made out of paper mache. Easy wear with elastic ties.